This manual comes to life through the voices, writings, and examples of not one person, but many. Thousands of Americans who have borne, and still bear, the title "Marine" are testimony that "Once a Marine, Always a Marine". Good content but hard to listen. 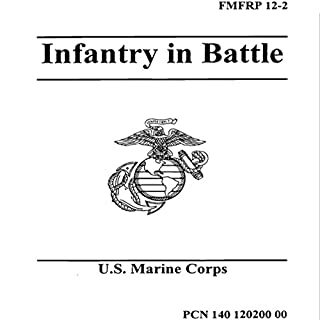 This publication discusses the usage, history, and knowledge behind weaponry and the infantry within the United States military. 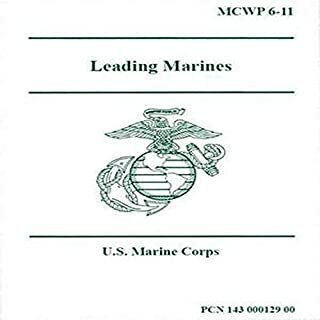 Currently on the USMC Commandants professional reading list. good knowledge, but lowest bidder. 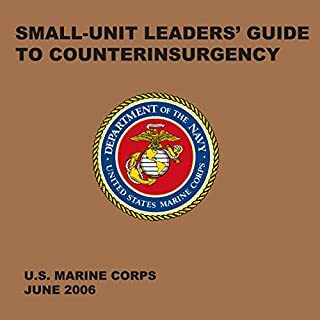 This handbook provides the tactics, techniques, and procedures that may be applied by small unit leaders engaged in counterinsurgency. It is principally focused at the company and below. It describes the nature of insurgency and counterinsurgency, common insurgent approaches, preparation for counterinsurgency, mobilizing the populace, information and intelligence operations, and operations in a counterinsurgency environment. 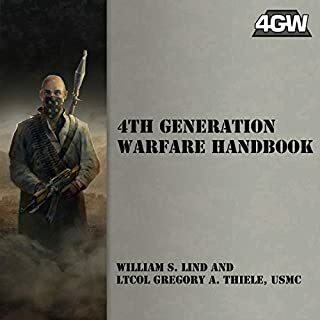 Written by the author of the Maneuver Warfare Handbook and an active-duty USMC officer with experience in Iraq, 4th Generation Warfare Handbook is the doctrine for a new generation of war. Over the last 40 years, the world has gradually entered into a post-Clausewitzian state where the wars are undeclared, the battlefields can be anywhere, the uniforms are optional, and the combatants as well as the targets are often "civilian." A former captain in the Marines' First Recon Battalion, who fought in Afghanistan and Iraq, reveals how the Corps trains its elite and offers a point-blank account of twenty-first-century battle. Fick's training begins with a hellish summer at Quantico, after his junior year at Dartmouth, and advances to the pinnacle, Recon, four years later, on the eve of war with Iraq. 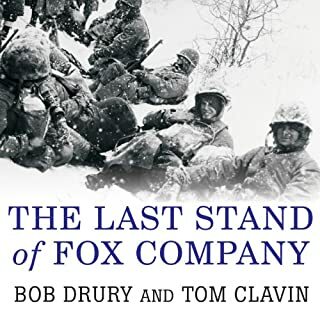 I'm Staying with My Boys is a firsthand look inside the life of one of the greatest heroes of the Greatest Generation. Sgt. John Basilone held off 3000 Japanese troops at Guadalcanal after his 15-member unit was reduced to three men. At Iwo Jima he single-handedly destroyed an enemy blockhouse, allowing his unit to capture an airfield. Minutes later he was killed by an enemy artillery round. He was the only Marine in World War II to have received the Medal of Honor, the Navy Cross, and a Purple Heart. The first in-depth look at the marine hero who has become one of the most beloved and admired men in America today: Secretary of Defense James Mattis. In this illuminating biography, Jim Proser looks beyond Mattis’ professional competence to focus on the driving element behind Mattis’ success: his unimpeachable character - a formidable personal integrity that fosters universal confidence. Proser carefully examines the events of Mattis’ life and career to reveal a man who leads with insight, humor, fighting courage, and fierce compassion. The good news is that the vast majority of soldiers are loath to kill in battle. Unfortunately, modern armies, using Pavlovian and operant conditioning have developed sophisticated ways of overcoming this instinctive aversion. sophisticated ways of overcoming this instinctive aversion. The psychological cost for soldiers, as witnessed by the increase in post-traumatic stress, is devastating. On Friday, November 10, 1775, the Continental Congress approved a resolution for the organization of the Corps, creating what would become the hallowed few, the proud - the Marines. Since then, the men and women of the United States Marine Corps have created the finest traditions of service and honor, and supplied a pantheon of heroes who have upheld them. 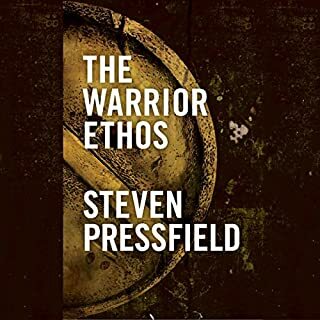 Marines Will Hate This Narrator. The Marine Corps is known for its heroes, and Lieutenant General Lewis B. Puller has long been considered the greatest of them all. His assignments and activities covered an extraordinary spectrum of warfare. With his bulldog face, barrel chest (which earned him the nickname Chesty), gruff voice, and common touch, Puller became - and has remained - the epitome of the marine combat officer. Author Jon Hoffman has been given special access to Puller's personal papers as well as his personnel record. The result will unquestionably stand as the last word about Chesty Puller. 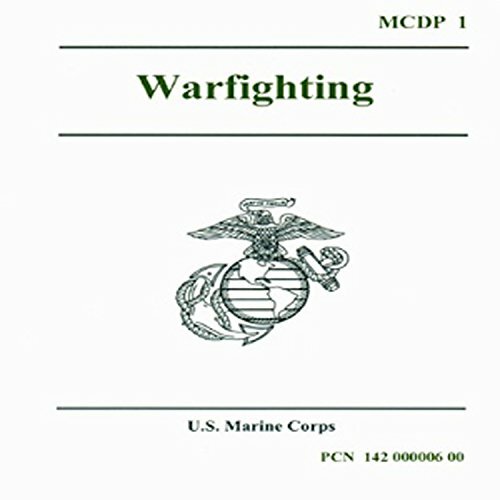 required reading for SOI and MCT this was easy and quick way to get it done .